Some people might wonder if there is any way to watch DRM protected video files like iTunes movie/TV show. Yes, there is. By removing DRM from iTunes videos with the help of a piece of DRM removal software, you can watch DRM protected video files freely and conveniently. Here I list out several pieces of DRM removal software for you to choose the best DRM removal software for yourself. DRM, also known as Digital Rights Management, is a protection technology that is used to protect works from being copied, printed, shared or used in other ways without the permission of work owners. These DRM technologies help protect copyrighted digital content, such as computer games, documents, eBooks, film, music, television, metadata, watermark, streaming media service, etc. With the encryption technologies, content providers can grant control and protection over their own digital media. Nowadays, most media files have been DRM protected. There are various types of DRM technologies for all the abovementioned media files. Here we would like to mainly talk about types of DRM technologies that are commonly adopted and widely seen in the market. Apple has adopted FairPlay DRM protection on its iTunes media files including movies, TV shows, eBooks, audiobooks, some music files, etc. This FairPlay DRM technology features with the use of AES algorithm in combination with MD5 hashes. 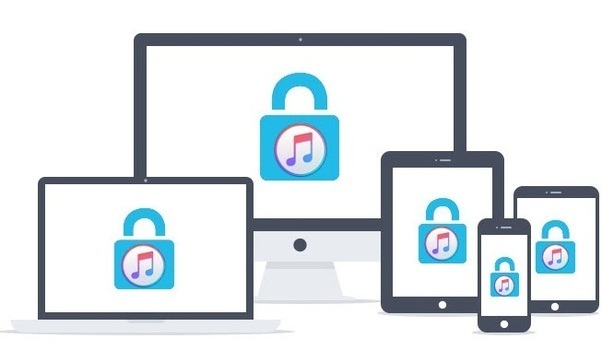 With FairPlay DRM protection, media files purchased or rented are not allowed to play on other non-Apple’s products except iPhone, iPod, iPad, Apple TV and etc. Previously, all songs purchased from iTunes store between 2003 and 2009 are also protected by Apple FairPlay DRM. These DRM-ed songs could only be listened on iTunes and Apple devices. Fortunately, after 2009, Apple has disabled FairPlay DRM protection. Therefore you can freely enjoy all songs bought from iTunes store. Microsoft PlayReady DRM is a digital file copy prevention technology including encryption, output prevention and digital rights management upon Window media files. It could protect the Window media files and prevent the unauthorized users assessing to protected digital media. Microsoft PlayReady DRM is the widest deployed DRM in the world. Different from other DRM schemes in Microsoft, it has the independent platform that means it can be installed to any other portable devices, like connected TV devices, Windows operating systems, Windows mobile and Xbox. With the purpose of boycotting the pirate and protecting the benefit of content owners, Widevine developed by Google is an encryption system with DRM. It has two wonderful versions, called Widevine Classic and Widevine Modular. Actually, the Widevine Modular is the successor of Widevine Classic, which is joined the Google DRM scheme used for the on-demand and downloaded content. While Widevine Modular supports multiple content formats, including live streaming, MPEG-DASH and Common Encryption (CENC). Besides, Widevine Modular also supports a broad range of consumer devices, such as Android (4.3+), TVs, game consoles, iOS devices, etc. Amazon has engineered its own version of DRM in their Kindle for PC application (K4PC). The Kindle proper and Kindle for iPhone/iPod app both use a single “device” encryption key for all restricted content. K4PC uses the same (proprietary) encryption algorithms, but also uses a per-book session key for the actual en/decryption. Furthermore, the obfuscation that is used in hiding the device key is highly sophisticated. To get rid of DRM protections and enjoy DRM protected media files freely, you need to turn to DRM removal tools. The below content would show you 5 best DRM removal software to help you get rid of DRM protections upon different DMR protected media files. Speaking of DRM removal software, the first qualified software comes to my mind is Leawo Prof. DRM. As a professional iTunes DRM removal and DRM media converter, Leawo Prof. DRM is able to 1:1 remove DRM from iTunes M4V movies/TV shows and then save as MP4 video files. The best DRM removal tool from Leawo Software allows you to retain as many audio tracks and subtitles as the original iTunes M4V files have, including multi-channeled surround sound like Dolby 5.1 Surround Sound. With it, you can import and convert iTunes M4V files to DRM-free MP4 in batch. Without the need to decode and encode, Leawo Prof. DRM is 50 times faster in removing DRM compared to other best free DRM removal software. 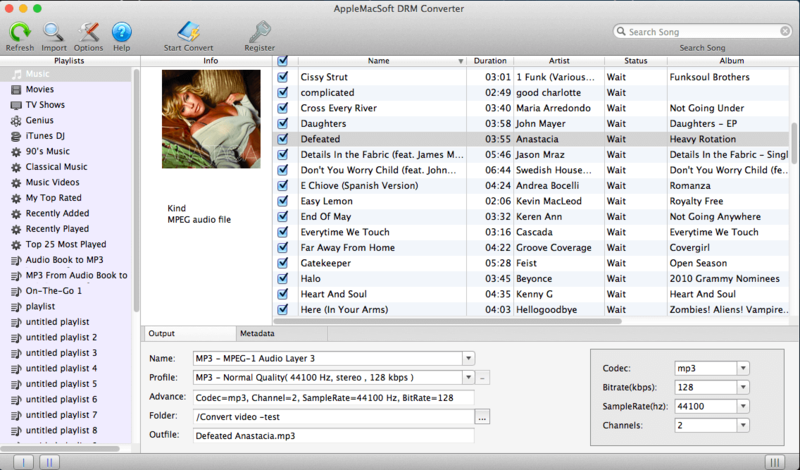 Far more than a simple iTunes M4V video converter, Leawo Prof. DRM could perform as iTunes DRM music converter to convert iTunes music to MP3, iTunes/Audible audiobook converter to convert iTunes/Audible audiobooks to DRM-free MP3, eBook converter to convert eBooks from Kindle, Kobo and Adobe Digital Edition, and Spotify music converter to download and convert Spotify songs. You could then freely enjoy all these media files without being annoyed by DRM technologies. Leawo Prof. DRM is compatible with all kinds of Windows operating systems: Windows XP/Vista/7/8/8.1/10, thus Windows users will find the program functions perfectly well on their Windows computers. Download and install Leawo Prof. DRM on your computer, and kick off the program to start to remove DRM from iTunes M4V files. 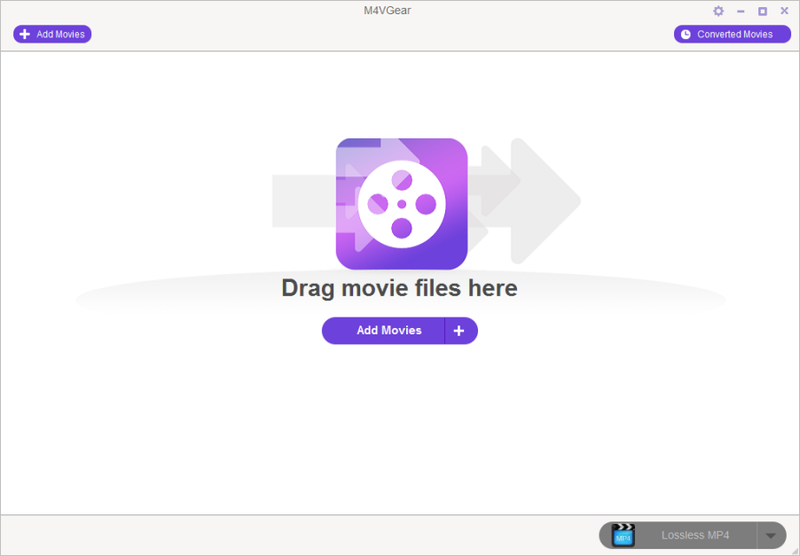 M4VGear is a powerful DRM video converter. As a piece of DRM removal software, it can directly remove DRM from iTunes purchases and rentals at a 20 times faster speed. With this DRM removal software, you can legally remove DRM from iTunes M4V more conveniently. Like Leawo TunesCopy, M4VGear is able to retain all subtitles and audio tracks including 5.1, and it is also able to preserve 100% original quality. What differs M4VGear and Leawo TunesCopy is the variety of output video format. Not limited to MP4 format, M4VGear can convert iTunes M4V videos to unprotected video and audio formats like MP4, MOV and MP3,etc. Download and install M4VGear on your computer, and kick off the program to get ready for iTunes M4V videos DRM removing process. The third best DRM removal software I would like to discuss here is TunesKit. As an all-in-one iTunes DRM media converter, TunesKit helps remove DRM from iTunes videos and convert iTunes M4V to common MP4 format with all audio tracks, subtitles and original quality retained. 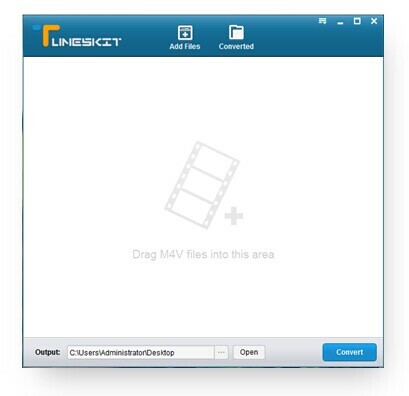 Before you start to remove DRM from iTunes videos, you need to download and install TunesKit on your computer. DRM removal software for the Mac is a bit thin on the ground compared to the PC, but AppleMacsoft DRM converter comes to the rescue; incidentally, there is also a Windows version. The software uses a virtual CD writer in conjunction with the iTunes software to legally produce a DRM-free copy of the original. The software makes use of the importing feature in iTunes to capture to a particular format. The output file formats that you can convert to are, MP3, AAC, Apple Lossless, AIFF, and WAV. Before you start to remove DRM from iTunes videos, you need to download and install AppleMacSoft DRM Converter on your computer. 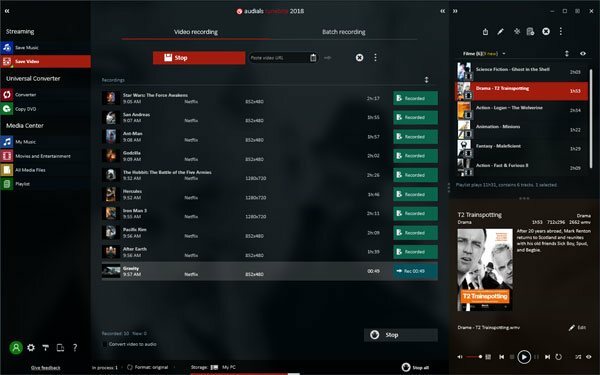 Audials TuneBite 2018 Platinum is actually a video/audio recorder rather than DRM removal tool. It can record online streaming audio and save as MP3, record online streaming video and save as MP4. Of course, you can record DRM protected iTunes videos and other DRM videos you can play on your computer. It can work as a media converter to convert video files and audio files, it can also record DVD movies, however, there are many DVD rippers on the market and DVD recording seems to be meaningless at all. Here I make a comparison between these three DRM removal software, so that you can see clearly which one is the best DRM remover. Take a look at the chart below.